New Zealanders are losing millions of dollars through “cold call” investment scams, a form of fraud that is on the rise, the Financial Markets Authority warns. As part of the international fraud awareness week (13-19 November) the FMA is alerting consumers to strangers making cold calls to offer investment opportunities. “These crimes are much more prevalent in New Zealand than people realise and scams really can happen to anyone,” Paul Gregory, FMA director of external communications and investor capability says in a media release. The scams, also referred to as “boiler room” scams, involve a team of overseas-based fraudsters offering non-existent, worthless or overpriced investments, generally shares. The scams can also involve FX trading, binary options and sports investment schemes. The FMA knows of an experienced investor who lost US$40k through a sophisticated share scam. The best advice is to simply hang up on these calls, the FMA says. If you receive a call about a financial offer, hang up. Never share personal financial details with someone you don’t know. Only deal with a registered and licensed financial provider. If they are licensed in New Zealand, you have more protection if something goes wrong. Do your research when making any investment – is the company legitimate? Does the investment sound too good to be true? If you are still not sure, talk to an adviser. If your bank or financial provider contacts you as they believe you may have been a victim of fraud, listen to them as they are likely to have had other customers affected. Do not transfer any more money. Check that the company you are dealing with is not on the FMA website’s warnings and alerts list. Bronwyn Groot, BNZ financial crime and security team member, says these types of scams are slick operations that target informed, high-value investors. One of the bank’s customers lost around half a million dollars. A pressured sale is a red flag and “urgent sales tactics” should definitely set off alarm bells, Ms Groot says. “If you’re not sure, do your homework. Check out the broker, call your bank or the FMA and see if this is a known scam,” she says. FMA also advises consumers do their research before committing to an investment, to deal with a licensed provider and recommends contacting an advisor. 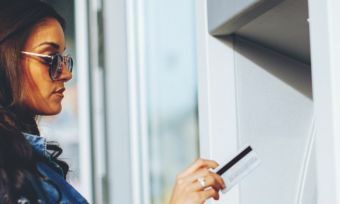 The fraud awareness week follows warnings from the banking ombudsman about how to avoid credit card fraud, after dealing with a number of victims of credit card fraud throughout the 2015/16 year. The international fraud awareness week is an annual initiative designed to educate consumers on common forms of fraud and ways to avoid them. New Zealand’s initiative is coordinated by the consumer protection team at the Ministry of Business, Education and Employment, in conjunction with the Interagency Fraud Working Group.